Growing up, Klutz Kits were some of my absolute favorite gifts to get as a crafty kid, so it was such a full-circle type opportunity when I had the chance to be involved in working with Scholastic on the Klutz Create Your Own Quote Art kit. 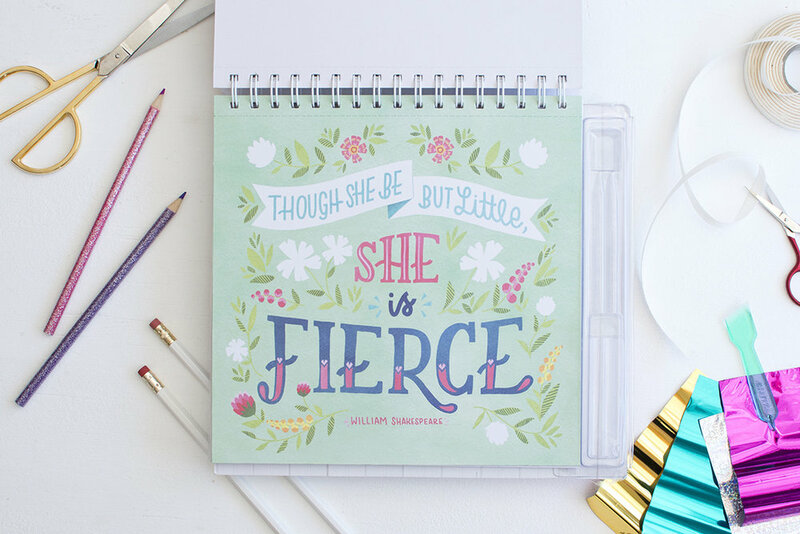 I illustrated two of the 11 art pieces ("Though She Be Little, She Be Fierce" and "Be Real Not Perfect") that allow kids to embellish, draw on, glitter fill, and foil fill to create their own personalized masterpiece. Art direction by Kristin Carder. This book can be found for sale on Amazon, at Barnes and Nobles, or at your local book store.